Tempus Fugit: What the heck is the AuroChronos Festival? What the heck is the AuroChronos Festival? A lot of people asked this question last year when our event appeared for the first time. The word Festival and watches have never gone together. So why now and what the heck is AuroChronos? The name of the festival is a blend of two words and it expresses the core values of Aurochs, a distant predecessor to today's domestic cattle. It was an enormous, strong and wild ox whose posture commanded respect. It doesn’t only represent the strength, freedom and the perseverance needed in the constant struggle to make a mark in the watch market, but it also symbolizes the rebirth of an appreciation for watches and craftsmanship in creating unique pieces and the exceptional character of independent brands. The Greek god Chronos is the personification of time and the symbol of creation. Symbolized by an hourglass the symbol of passing time. For us it is time to return to the roots and the rebirth of the tradition of small independent manufactures with unique style and individuality. OK, we got that covered, but why a Festival? 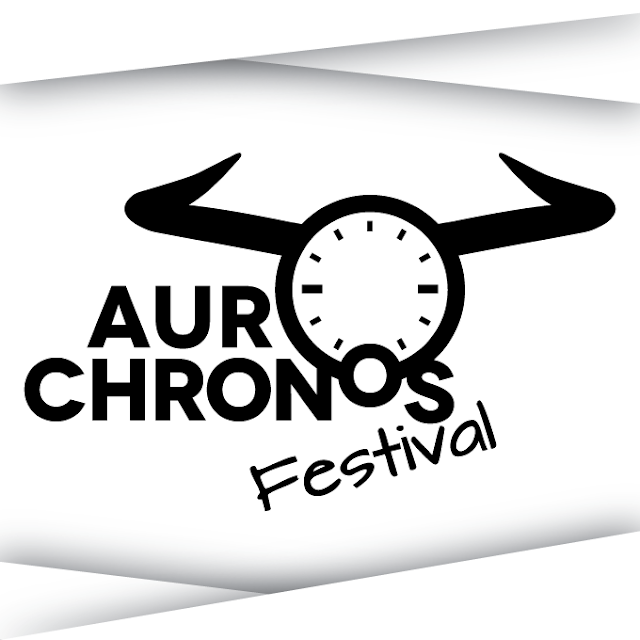 The International Festival of Independent Watch Brands AuroChronos, is a hybrid of a watch fair and a festival review. It means that there is an International Jury that selects unique watches and the winners receive AuroChronos Awards. Last year they were premiere watches awarded and this year, there will be interesting new categories such as "Independent Men's Watch", "Independent Women's Watch", "Discovery of the Year" and so on. The Special Guest of the Festival will be Theodor Diehl. A spokesman and watchmaker of Richard Mille Watches, author of the book "Kari Voutilainen: Horlogerie d'Art" and specialist in independent watchmaking with over 25 years of experience in the industry who will give two lectures at the AuroChronos Festival. We have managed to do all of this in just over a year and there would be nothing unusual about it if we were professional event planners. Truth be told, our Festival is organized by two watch enthusiasts from outside of the industry. Maciej Mazurkiewicz - a doctor specializing in oncology and Paweł Zalewski - a trainer and translator. We are both in our thirties and one day noticed that there was an event missing on the European watch scene. So we decided to create one. Our commitment and enthusiasm to the original idea made the first edition in 2017 a great success. The festival was visited by over 750 guests. This has paved the way for the development and preparation of our second edition. The AuroChronos Festival 2018 will host over thirty exhibitors from Poland, Belgium, the Netherlands, Germany, Switzerland, Italy, as well as Hong Kong and Taiwan. We hope that you will join us September 29th and 30th and visit Lodz, Poland. The AuroChronos Festival 2018 will take place in Expo-Łódź, al. Politechniki 4, Lodz, Poland (Saturday 29th 10:00 – 18:00 and Sunday 30th 10:00 – 15:00). For more information visit www.aurochronos.com.